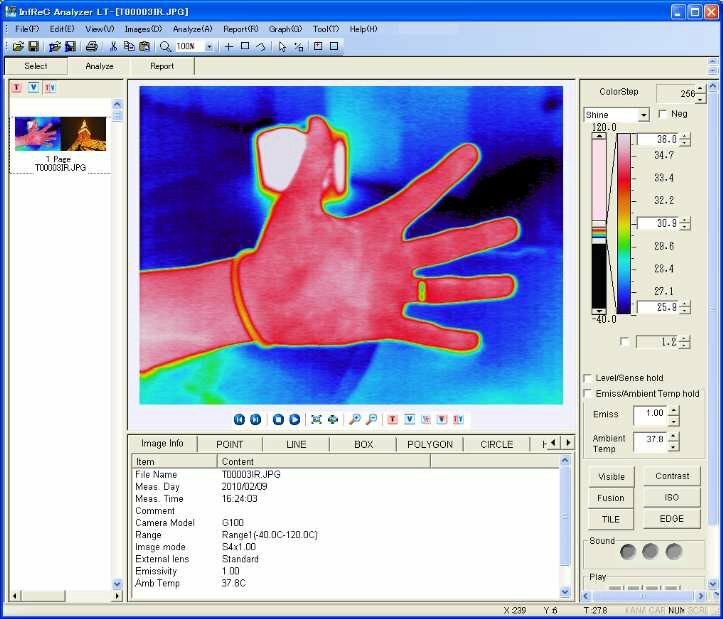 The InfReC Analyser NS9500 Standard edition is a thermal image editing / processing / report creation program with intuitive menus and icons for easy operation. File search - It is easy to search from past measurement data by file name, date, comment, temperature value etc. Graph - Three kinds of graph display such as line profile, histogram, trend graph are possible. 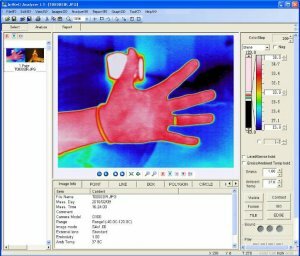 Abundant thermal image editing / processing / analysis function - length / area calculation. Calculate the length / area of ​​the setting figure simply by entering the measurement distance to the subject. Calculation of dissipated heat quantity - Calculate the amount of heat dissipated in a specific figure area and analyse the heat loss from the subject. Image quality improvement / correction - Various image processing functions such as edge emphasis, multi sense, emissivity correction, distance correction, etc. are installed. Panorama Editing - Edit function to combine multiple thermal images taken with the quick panorama function into one image. Adjustment of binding position and masking of unnecessary parts are possible automatically or manually. Analysis can be performed with the combined image. *1 Only data photographed in panoramic mode. *2 The range to be set conforms to the specifications of the connected device. *3 It can not be played if there is no visible image data. *4 Only during data playback where sound is recorded.